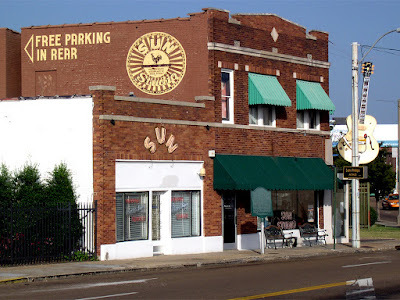 American Wolf: The Top 5 Sun Records Songs Not Released As Singles. The Top 5 Sun Records Songs Not Released As Singles. 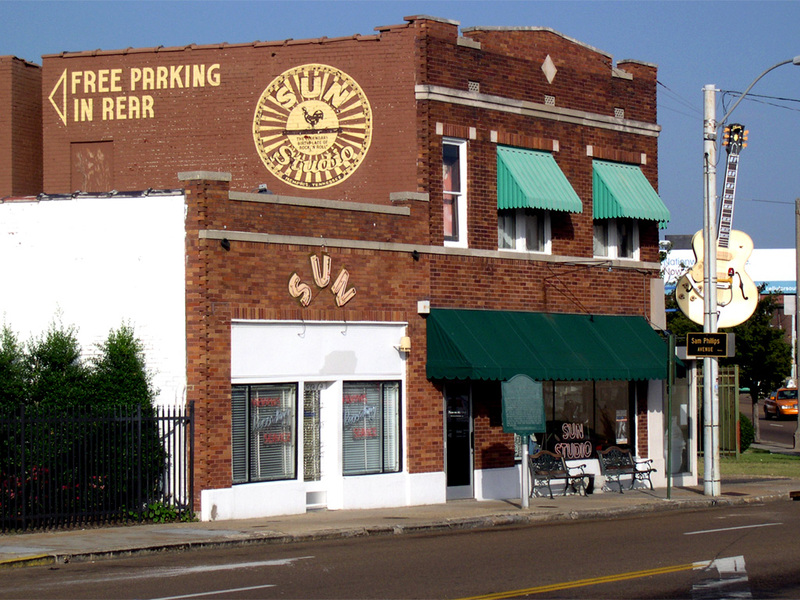 Sun Studio, universally hailed as The Birthplace Of Rock & Roll, was an embarrassment of 1950s riches. Their roster formed a Mount Rushmore of rockabilly--Elvis Presley, Jerry Lee Lewis, Carl Perkins, & Johnny Cash--& even their second-stringers were future American musical masters like Roy Orbison & Charlie Rich. But when you start stacking up what was actually released by each artist while they were on the label, the results are surprisingly small. Elvis released only 10 sides while he was at the label, while Carl Perkins only put out 19. Even Jerry Lee Lewis, who recorded the most extensively at Sun--a recent box set of his Sun output clocks in at 18 discs--only released about 2 CDs worth of material while he was employed as an artist there. So what to do with all of the leftovers? Budget labels & bootleggers have been releasing this ever since, elevating some of these to minor classics in their own right. Everyone may know "That's All Right," "Blue Suede Shoes," & "Great Balls Of Fire," but these ones are arguably as worthy in their own way. & before we begin, an honorable mention goes out to Carl Perkins' "Everybody's Trying To Be My Baby," which was left off of the list because although it was never released as a single, it was put on his 1957 Sun LP; all of the songs on this list were never released in any format on Sun Records. 5. "Trying To Get To You" by Elvis Presley. Elvis famously released 10 sides on Sun Records between 1954 & 1955--5 bluesy A-sides backed by 5 country B-sides--& "Trying To Get To You" would've been the 11th side, if only Sam Phillips had a country song to back it with. Unfortunately for Phillips, Elvis signed with RCA before he could record one, which stipulated that Phillips hand over all of Elvis's masters to the new label. (Phillips was sure not to make this mistake again when Columbia signed Johnny Cash, allowing himself to have several years' & albums worth of Cash material ready despite his departure.) Sun's loss is Elvis's first album's gain as his cover of an R&B hit by The Eagles (no, not THAT Eagles--this one was an African-American doo-wop group who are so mysterious that I literally cannot even find a listing of the members' names) was a standout track on an already near-perfect album. It is Elvis's capstone at Sun, singing with all of the confidence & charisma that would carry him through the coming years--although some would argue with increasingly diminishing results. 4. "Domino" by Roy Orbison. I've always had a soft-spot for Roy Orbison's work at Sun. Although it is overshadowed by his more influential subsequent work at Moment Records (& with ballads like "Cryin'" & rockers like "Oh, Pretty Woman" it's easy to see why), one can hear an eagerness & vulnerability all but absent from his peers. Elvis was the hot one, Jerry Lee Lewis was the crazy one, Johnny Cash was the tough one, Carl Perkins was the quiet one--& Roy Orbison was the awkward one. He didn't have the bravado of the others & to his credit, he didn't try to. Phillips didn't quite know what to do with him but Roy also didn't know what to do with himself either (how else can one explain the coupling of "Chicken Hearted" & "I Like Love" as a single?). In a sea of rebels, Roy was the guy you could relate to. "Domino," his finest Sun cut outside of "Ooby Dooby" & "Go! Go! Go!," was better than nearly all of the other sides he would release during his short stint at the label. One only has to listen to the likes of "Chicken Hearted" & "I Like Love" to get an idea of what people should've been hearing instead. 3. "Wild One" by Jerry Lee Lewis. "Wild One" was originally written by Johnny O'Keefe, the first major Australian rock & roll star. It kicks, it's cute, it's got lots of saxophone. Enter The Killer. He doesn't so much cover the song as he does eat it up & spit it out as fire in his own image. Gone are the original lyrics, in its place are rushed, half-improvised new ones that allude to his own hits & style. Recorded in 1958, it wouldn't see the light of day until the 1970s, which is a shame because it out-classes "High School Confidential" & most other things that would follow. It's tempting to say it would've provided him with that comeback hit in the wake of his marriage scandal, but if the similarly excellent rave-up "Lovin' Up A Storm" couldn't crack the Top 80, this probably wouldn't have been able to either. Regardless, "Wild One" should with Aretha Franklin's "Respect" & Jimi Hendrix's "All Along The Watchtower" as one of rock's finest covers, but Jerry Lee Lewis so effectively makes it his own that few are even aware that it's a cover in the first place--because after all, Jerry Lee Lewis will always be rock & roll's most wild one. 2. "A Red Cadillac & A Black Mustache" by Warren Smith. Of all the ones who shoulda-coulda-woulda made it at Sun but didn't, my vote for the least well-known with the best back catalog is Warren Smith. A country singer by trade, he took to the rock music much more naturally than, say, his Sun label-mate Johnny Cash. It was Cash who wrote (or bought for $40 from George Jones) Smith's first single, "Rock & Roll Ruby," which did well enough locally to ensure a few more sides. Despite rockabilly that was equal parts tough & driving (the classic "Ubangi Stomp") & strange & folksy (the "Old, Weird America"-invoking B-sides "Black Jack David" & "Miss Froggie"), the only national hit he ever got was "So Long, I'm Gone," which petered out at #74. Left in the can was this song, a haunting & moody evocation of lost love shrouded in jealousy & suspicion. Only one known take of it exists, placing it in the category of one-known-take wonders like Robert Johnson's "Hell Hound On My Trail" & Elvis's own "Mystery Train." This song alone stands as proof not only as Sun's depth of quality as a label, but of Warren Smith's effortless--& largely forgotten--talent. 1. "Put Your Cat Clothes On" by Carl Perkins. On December 4, 1956, the most famous jam session in rock history took place at Sun Studio, where Elvis Presley, Jerry Lee Lewis, Carl Perkins, & Johnny Cash sang old gospel, country, & pop songs, over an hour of which made it onto the legendary "Million Dollar Quartet" tape. What is often overlooked is why half of The Million Dollar Quartet (Perkins & Lewis) were there in the first place--to cut a regular session. Perkins was on his way down--it was a little under a year since "Blue Suede Shoes" became a breakthrough smash & he was still looking for that elusive follow-up hit; Jerry Lee Lewis was on his way up--his first single, "Crazy Arms," was just newly released where it would become a local hit & launchpad to a year of glory. But for now, Perkins was the bigger star & this was his session--Lewis was there as an anonymous session man, reportedly to earn some money for Christmas presents. Out of this session came Perkins' masterpiece "Matchbox," which managed to make #67 on the pop charts as the B-side to the inferior "Your True Love." But arguably better than both songs is "Put Your Cat Clothes On," one of the toughest & most exciting rockabilly record ever cut. Perkins sings with a force & fun that he only ever really matched with "Dixie Fried," rushing lines & keeping the festivities rocking. Also unique for a Perkins record is Lewis's piano solo. Usually Perkins' tight, well-measured electric guitar would play during the solos (as it does during the second musical break), but here a young Lewis takes center stage, with an offhand & breezy, carefree solo. His energy helps to fuel the song's drive & is what arguably pushes Perkins to such a rocking, memorable performance. It unusual for two rock legends (one past & one future) to collaborate so organically, but therein lies the magic of "Put Your Cat Clothes On"--& by extension, Sun Studio. The Americanization Of "Fairytale Of New York"